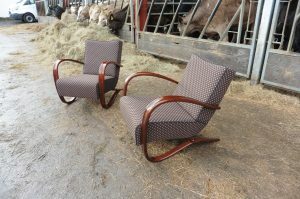 Arrived into our workshop this month are some beautiful vintage chairs by designer Halabala. 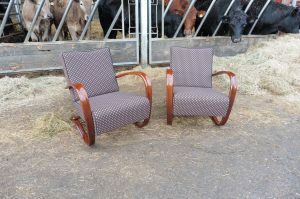 These are going to be recovered in leather from Futura’s Lena range, white leather with black piping. 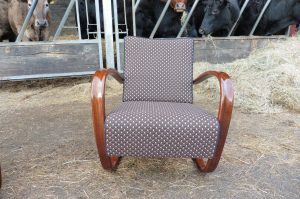 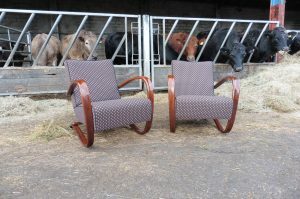 Keep an eye out for the fabulous finished chairs in our workshop in Essex.